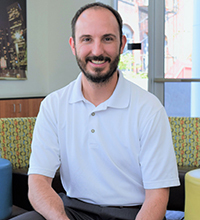 Full-time student, Todd Kilroy, USMC - Future Judge Advocate. Southwestern Law School thanks you for your service, sacrifice, and dedication to our country. We are committed to your success and proudly serve those who served. We are here to support you as you embark on your new mission to earn your J.D. Department of Veterans Affairs (DVA) educational benefits are designed to provide eligible J.D. students with an opportunity for educational and career growth. It is certainly one of the most valuable benefits afforded to veterans and qualified dependents and should be wisely utilized. Veterans have earned the right to use their educational benefits for the purpose it was intended for. Southwestern Law School is pleased and honored to assist you in utilizing the benefits to your best advantage. We welcome you to Southwestern and hope you will significantly benefit through your studies. To determine eligibility for benefits, students must apply online on the VA website at www.gibill.va.gov. You must be enrolled for classes at Southwestern Law School before the Financial Aid Office can certify your enrollment on VAOnce. After you have completed and submitted the form online, the Department of Veterans Affairs will send you a Certificate of Eligibility letter. Please send a copy of the Certificate of Eligibility to the Financial Aid Office at finaid@swlaw.edu. Voc-Rehab Recipients please note: You must provide us a copy of your Authorization and Certification of Entrance or Reentrance form. Contact your local VA case manager or VA representative to obtain said form. Please email it to the Financial Aid office at finaid@swlaw.edu. ***NOTE***Anytime you change your units, whether it is an increase or decrease in status, it is your responsibility to let the Financial Aid office know. Failure to do so will result in overpayment or underpayment of your benefits. 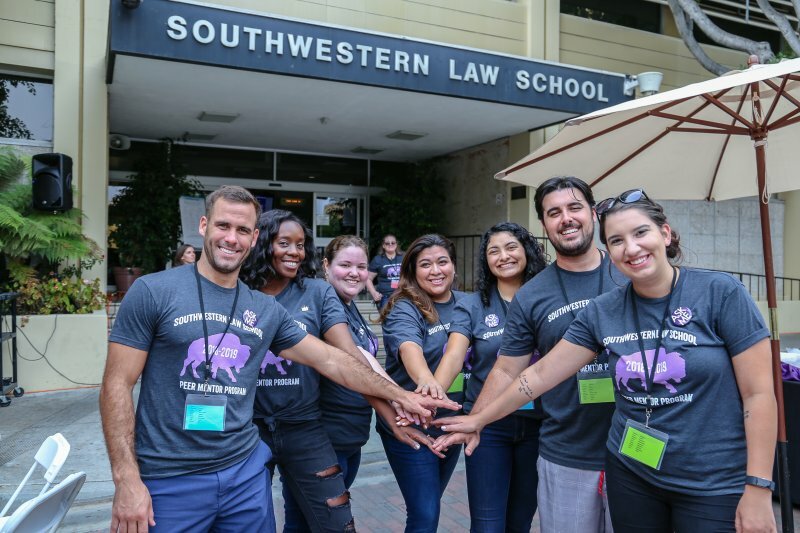 Southwestern Law School is an approved institution for veterans' benefits and for active duty, vets, spouses and dependents who have eligible educational benefits by the U.S. Department of Veterans Affairs. Southwe stern Law School accepts the G.I. Bill® and is proud to participate in the Veteran Affairs' Yellow Ribbon program and agrees to contribute $10,000 per year to eligible veterans pursuing their J.D. degree. Southwestern will offer this scholarship to a maximum of 10 veterans per academic year on a first-come, first-serve basis. Go to the Department of Veteran Affairs for details about the Yellow Ribbon program and eligibility requirements. Southwestern is committed to fostering a campus culture of support and community to promote the well-being and success of our veteran and military students. In our mission to help you achieve your educational goals, we have pledged and signed on to the Principles of Excellence and the 8 Keys to Veterans’ Success. The Principles of Excellence and the 8 Keys to Veterans’ Success highlight specific strategies for helping veterans transition into higher education and complete their degree. We understand that as a military veteran student, you are faced with unique concerns and challenges. That’s why, from DAY ONE, we provide you with a designated counselor to advise you with personalized guidance and help you prepare for each step of your legal academic career. For more support services and accommodations, please see the Dean of Students and Diversity Affairs Office. Lloyd Arthur Bergman and Meier Schneider Memorial Scholarship Endowment Fund. This fund was established by Mr. Gregory Bergman '75 and his wife, Leah Bergman '75, in memory of their fathers. The fund provides financial assistance to continuing students who have served in the military and/or have a background in the hard sciences. Jeffrey C. Finnegan Memorial Scholarship Fund: This fund was established in memory of Jeffrey C. Finnegan '79 to provide financial assistance to continuing students who have served or who continue to serve in the military. We proudly announce that Southwestern Law School has been designated a Top 10 Military Friendly® Graduate School for 2019-2020 by VIQTORY. VIQTORY is the leader in connecting the military community to civilian employment and educational and entrepreneurial opportunities. Southwestern was one of the selected 766 institutions out of more than 8,800 schools researched in the United States to earn the coveted “Military Friendly” designation and is also the ONLY school in California to be named a Top 10 Gold Award institution within the Graduate School category. Earning the Top 10 Military Friendly® Graduate School designation demonstrates Southwestern is committed and truly serious about helping our military and veteran students succeed in law school. 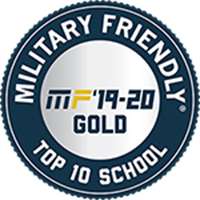 See Southwestern in the full 2019-2020 Military Friendly® Schools list in the May issue of G.I. Jobs magazine. 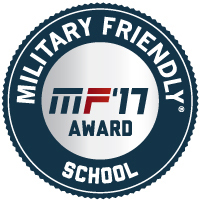 Southwe stern was included in the 2017 Military Friendly® Schools list compiled by Victory Media, the originator of Military Friendly® employment, entrepreneurship and education resources for veterans and their families. Take our virtual tour by clicking the image below! Interested in pursuing a career in the military? Every fall, all military branches send their Judge Advocate General (JAG) representatives to campus to recruit Southwestern students for a future as a JAG. 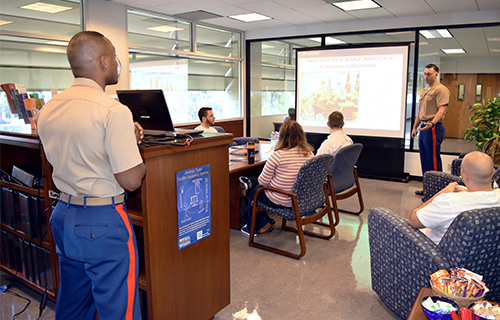 The Career Services Office coordinates these visits and can assist students with contacting reps in the Air Force, Army, Coast Guard, Marines, and Navy throughout the year. For more info, please contact Career Services for specific dates and times of presentations.